To congratulate an expectant mother for preparing to give birth to the nation’s Prime Minister would involve a leap of faith, even in the dynastic milieu that this government shuns. The Ministry of Human Resources has made a similar leap of faith by signaling an intention to accord “Institution of Eminence” status to an organisaton that has yet to put down it roots ~ unless there is a rare brand of logic that kicks in whenever the Reliance brand of the Ambanis comes into focus. Do Prakash Javedekar and his officials possess such wisdom as can assess the quality of performance before the curtain goes up? 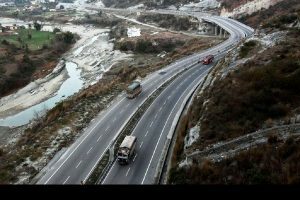 The claim that the “rules” permit such action, and an “empowered expert committee in its wisdom” approved the move is far from convincing ~ even the village idiot knows that rules can be twisted – and they were in this case changed to allow greenfield projects – and committees packed with select personnel. Was there an element of moral cowardice to the silence of the minister leaving it to an official to deal with an exploding political query? If this is the outcome of an otherwise welcome initiative to involve private industry/business in the promotion of higher education then we might be better-served by the red-tape constricted and funds-starved system of yesteryear. Time was when “Tata-Birla” was deemed as having an excessive, unhealthy influence on government. Contrasted with prevailing realities those entities must be perceived as benign. There is little need to be detained by the allegations of cronyism by Opposition parties; the government ought to have waited for the Jio University of the Reliance Foundation to prove its credentials. Cynics will say that would have taken time that a government in its last lap might not have had. Maybe it is no crime to do anyone a favour but it is definitely criminal when doing so involves discriminating against others who are more deserving. Comparisons are ever unpleasant but there can be no denying the dismay in several other centres of excellence at being denied the “eminent” tag ~ and the financial package that accompanies it. The Jio University has no need for a windfall, and in any event private institutions were not meant to get financial support. But the manner in which the administration was bowled over by what was at best a roadmap for the future showed it is tilted toward the well-heeled. There would be a degree of shamelessness to the manner in which the Ambanis have regaled in the preferential treatment extended to them by successive governments of varying political complexions: in the businessman’s book an impressive balance-sheet is shield, insurance and absolution. And politicians bend over backward to please the money-bags. Yet spare a thought for the five other “proven” institutes the HRD ministry has put in the same bracket: have they not been short-changed, slighted? A final point. 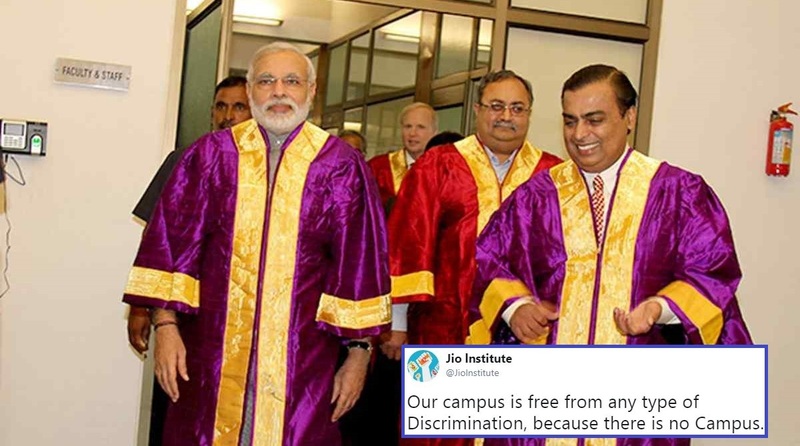 Jio may one day be a university, perhaps even an excellent one. But for now, it is a telecommunications brand created for profit. Why must a public initiative be used to promote a private brand?